The whole month of February is associated with love. So here's a recipe from The Maya Kitchen to sweeten your relationship. Preheat oven to 325°F/163°C. Grease and line the bottom of an 8-inch square pan. Set aside. In a bowl, stir brownie mix, butter, water, eggs and nuts (set some aside for topping) until well blended. Spread in prepared pan and top with reserved nuts. Bake for 30-35 minutes. Cool completely before cutting. 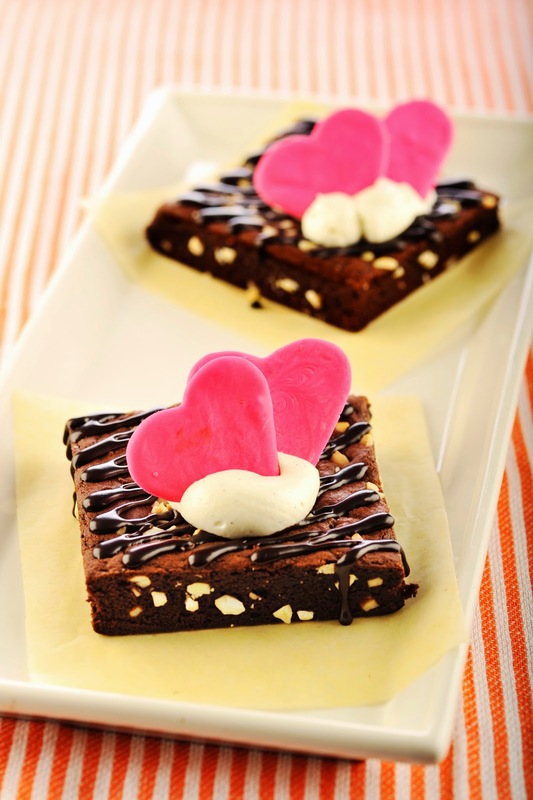 Drizzle or spread melted chocolate on top of brownies and decorate as desired.